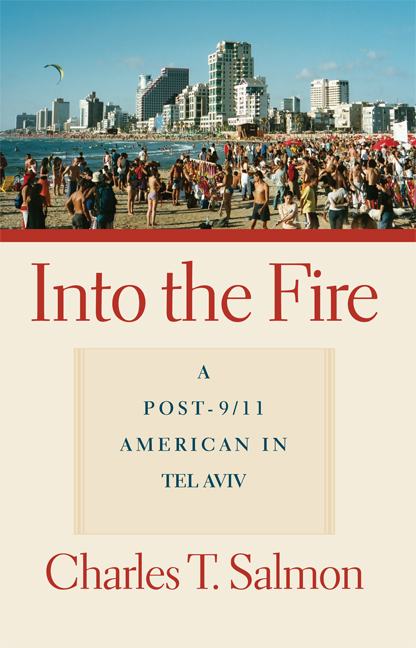 In the fall of 2001 Charles Salmon had a Fulbright fellowship in Israel. He was due to depart on September 12. Arriving in Israel a few weeks later, speaking no Hebrew and largely unfamiliar with Judaism and Israeli customs, he immersed himself in Israeli culture. This collection of correspondence began as a weekly report to friends and was designed to offer an alternative to mainstream media. With the excitement of a tourist and the eagerness of an anthropologist, Salmon emerges as a modern Candide. He describes historical sites and a supermarket in Tel Aviv, discusses the differences between university students in Israel and America, and negotiates the purchase of food and the vagaries of the weather with humor and passion. The letters also discuss Israeli–Palestinian relations, and details terrorist events and responses to them. This unique book focuses on how everyday hopes and fears transcend geopolitical boundaries and provides valuable lessons on how to thrive in these new and uncertain times. Charles T. Salmon is Senior Associate Dean in the College of Communication Arts and Sciences at Michigan State University, where he also holds the Ellis N. Brandt Professorship in Public Relations.